Welcome to Gator Country – The Insider Authority on Gator Sports! Back when I was a wee one I had to decide if I wanted to live dangerously and become a computer hacker or start a website devoted to the Gators. I chose the Gators instead of the daily thrill of knowing my next meal might be at Leavenworth. No regrets, however. The Gators have been my addiction. What makes this so much fun is doing innovative things to help bring all the Gator news that is news (and some that isn’t) to Gator fans around the world. Andy Warhol said we all have our 15 minutes of fame. Thanks to Gator Country, I’m working on a half hour. And thanks to an understanding daughter that can’t decide if she’s going to be the female version of Einstein, Miss Universe, President of the United States or a princess, I get to spend my days doing what I’ve done since Gus Garcia and I founded Gator Country back in 1996. You can find me on the message boards as “Solari”. I’m also traveling the country in a tiny camper — follow my blog for more! Ever on the hunt for the perfect craft Shandy (Jack-O Traveler is the current fav), I’m most likely to be found on the back of my husband’s Vulcan as we traverse Florida’s backroads. On these great adventures, “must-stop” places include great seafood joints for the hubster and metaphysical shops for me. When I’m not helping Ray and the staff keep Gator Country in the Top 10 of college sports site, I’m working on my own passion project BuildingBeautifulSouls.com . One of the original columnists when Gator Country first premiered, David “PD” Parker has been following and writing about the Gators since the eighties. 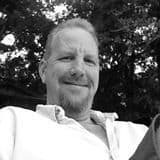 From his years of regular contributions as a member of Gator Country to his weekly columns as a partner of the popular defunct niche website Gator Gurus, PD has become known in Gator Nation for his analysis, insight and humor on all things Gator. You can also find him on our message boards as a very active and engaging poster, although he has a tendency to to drive rivals and certain fans crazy with his invectives. After all, he’s a passionate Gator fan and he’s certainly one of our more popular columnists. Dan Thompson is a 2010 graduate of the University Florida, graduating with a degree in Economics and a degree in Political Science. During this time at UF, Dan worked three years for the Florida Gator Football team as a recruiting ambassador. Dan dealt daily with prospects, NCAA guidelines, and coaching staff. Dan was also involved in Florida Blue Key, Student Government and Greek Life. Currently, Dan works as a Recruiter for a south Florida-based company. Dan enjoys golfing, country music, gin, travel, oysters, and a medium-rare steak. Dan has previously covered the Gators extensively on BourbonMeyer.com; on Twitter (@DK_Thompson; and as the administrator of TheGatorsDaily.com(http://TheGatorsDaily.com). Our website is owned and operated by the folks behind Gator Country Multimedia, Inc. — the only media business 100% owned and operated by Florida Gators!